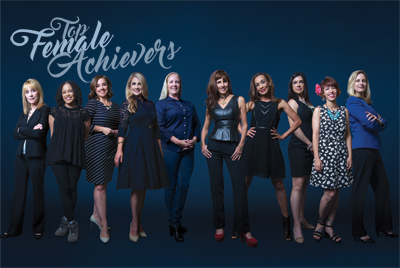 Honoring Top Female Achievers is one of our more established traditions. It is also a practice that’s both easy and complex. The easy part is finding worthy candidates, for the list is long. The complex part is narrowing then down. The best we can do is provide samplings and to learn what we can. Each honoree has a story to tell, but we went a step further and asked them about the influences in their lives – yet another story quite often involving other women. The stories continue, as does the achieving.